Any eyeshadows are from the Too Faced Chocolate Bar Palette so I will use the name of the shade I used. Add a primer and base. I just used an eyeshadow similar to my skintone as a base. Add a transition color to your crease. Be liberal with it. Add a slightly darker brown (mid-tone) to the outer corner and blend half way into your crease. 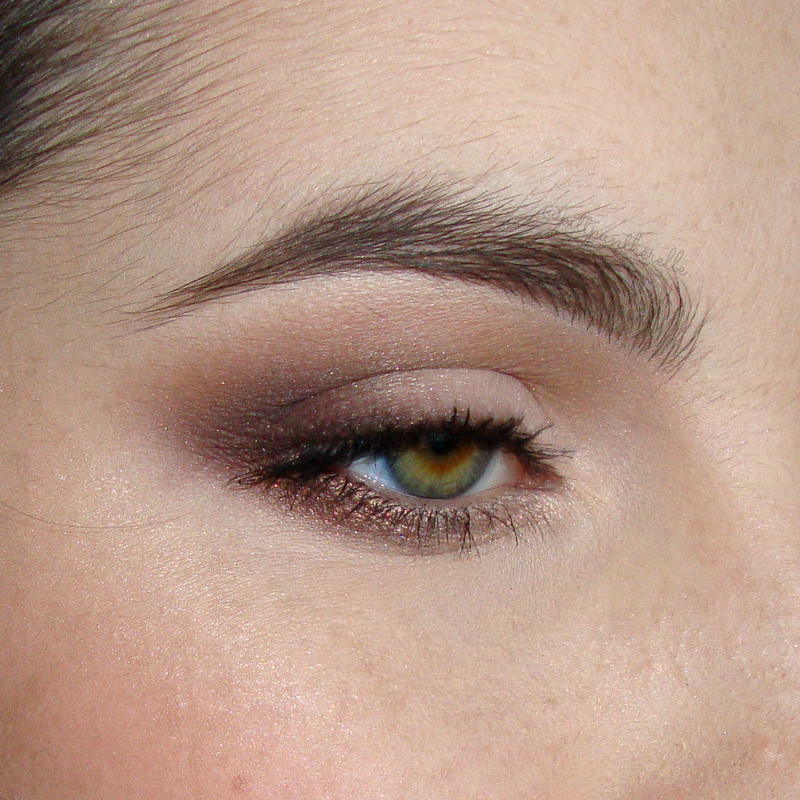 Blend a burgundy color to the outer corner of your lid. Blend into your crease ever so slightly. Pat a light, shimmery eyeshadow on your lid. Blend the edges with the brush you used for your transition color. Dot a dark brown kohl liner on your upper lash line. 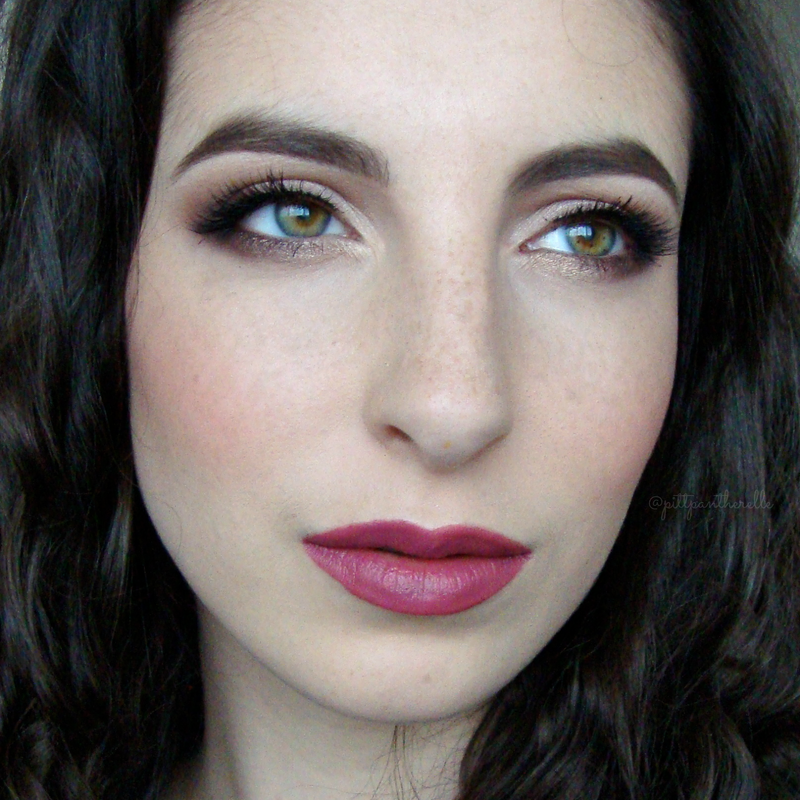 Smudge out the kohl pencil with a mixture of a dark brown and burgundy color. Add a little dark brown to the outer corner to darken it. Keep it concentrated to the outer corner. 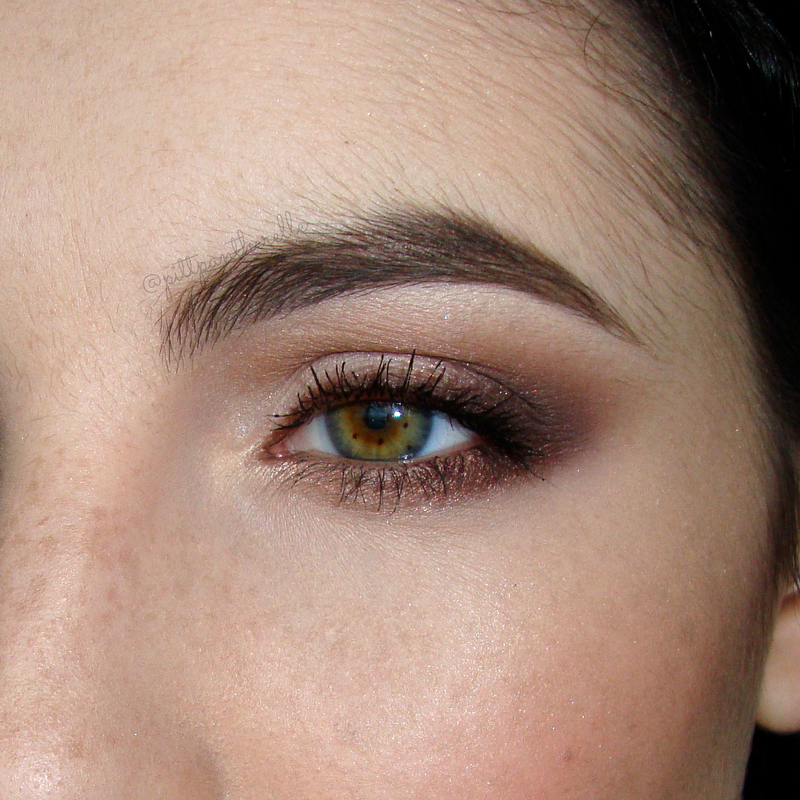 Blend a shimmery medium brown on the outer 1/3 of your lower lash line. Blend a shimmery light gold shade on the inner 2/3 of the lower lash line. I added a pair of natural falsies just cause.